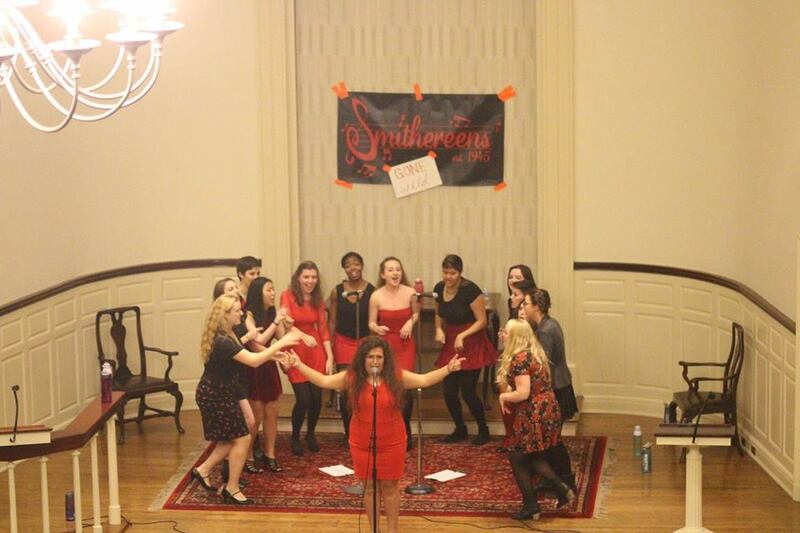 Here in college a cappella, it's not always about pop and hip-hop, and this jazz standard by the Smith College Smithereens is showing us why. I'll let it be known, I'm a sucker for anything that's Frank Sinatra and rat pack related, even more when it highlights beautiful, soaring female vocals. And this cover of "Fly Me To The Moon" by the Smithereens is making us swoon. The arrangement is masterfully done, maintaining a nice, enthusiastic and upbeat jazz vibe all while allowing both the lead and the backing group to be the focal points at times. But I would be re-missed if I didn't acknowledge how impressive the scatting abilities of the soloist are. It truly makes the song and adds a unique quality that you won't find elsewhere in any other "Fly Me To The Moon" cover. Sit back and enjoy this great #TBT performance.